Smart speakers are all the rage these days. Amazon largely kicked off the trend with their first-generation Echo device, which comes backed by the power of the company's voice-activated Alexa software, and by now there are several different Echo devices on the market aimed at all manner of music and smart home enthusiasts. Naturally, Google wanted a piece of this action, particularly considering that their own voice-activated Google Assistant software is widely considered to be superior to both Alexa and Apple's own Siri. 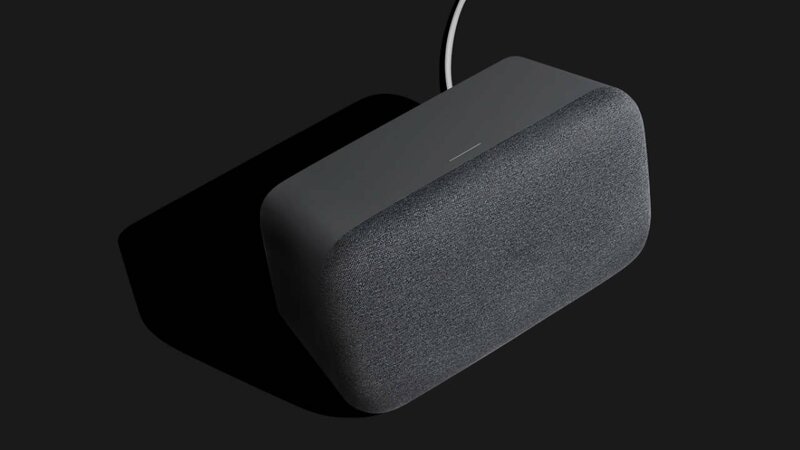 Alongside this functionality is the need for actual hardware, and as revealed in yesterday's Google event, the company has an all-new smart speaker that's designed to be the biggest and most robust speaker on the current market. The first thing that users should know about the Home Max is that it doesn't really do much that other smart speakers can't do. Like with the Google Home or Home Mini, the Home Max relies on Google's own Google Assistant software to interpret and execute various commands, and the device will easily work as a hub to integrate various smart home devices like light bulbs, garage door openers, Wi-Fi connected outlets, and more. If having access to these features is the main selling point for a buyer, they'd likely be satisfied with one of the less costly alternatives Google currently has on offer. With that said, the Home Max sort of does what its name implies -- it's the Google Home experience turned up to 11. Toward this front, the Google Home Max has twin 4.5" dual voice-coil woofers paired to a set of custom-designed tweeters hiding behind "acoustically transparent" fabric that are designed to provide powerful musical response that users can feel. Like with some other smart speakers on the market, Google hasn't given exact power specifications for the device's speakers; with that said, the company has stated that the Home Max is around 20 times as powerful as the standard Home unit, which could put the power figure as high as 200 watts. This considerable amount of power is coupled together with the Home Max's new Smart Sound technology that allows the speaker to optimize its sound based on its surroundings. Like with Apple's HomePod, the Home Max is designed to sense its surroundings and automatically adapt its sound with regard to objects in the environment as well as the location of the listener. Users can also take advantage of the Home Max's variable speaker orientation, which allows the device to perform laying flat or standing upright, as well as its ability to wirelessly tether to another Home Max speaker for room-filling stereo sound. Home Max can even connect with other Home devices as well as Chromecast units to deliver voice-activated video or audio to compatible devices. Unlike the Apple HomePod, however, the Google Home Max has a much wider array of input and playback options. Users can connect via Bluetooth to the Home Max, which is a very odd omission from the HomePod, or connect through a traditional 3.5mm headphone jack located at the back of the unit in order to make use of older legacy devices. Additionally, all varieties of Google's Home speakers allow music playback from Google Play Music, Spotify Premium, Pandora, YouTube Music, TuneIn, and iHeartRadio. 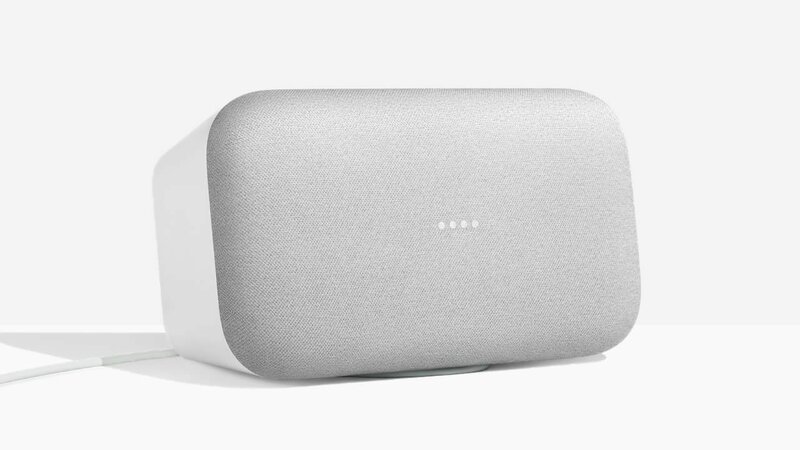 While users can still go out and buy Google's standard Home speaker for $129 at a variety of outlets, those who want the latest and greatest the company have to offer will have to pony up some extra dough for the privilege. The Home Max speaker is set to retail for $399, which is certainly no small amount of money for a single speaker. With that said, hardly any other speakers can do half of what the Home Max is slated to be capable of. For now, there aren't really many options for users who want to preorder the Home Max. Google's own Google Store is currently taking preorders for the unit in both the Chalk and Charcoal color options, and interested buyers can also find those two choices available for preorder over on the Best Buy website. Be forewarned, however, as the Google Store link to preorder the Home Max indicates that there's currently a waitlist for the device. Fortunately, signing up to the waitlist will give users their earliest chance at ordering the new speaker system. Keen on rounding out your mobile device experience with some cool accessories? If so, don't hesitate to check out Modojo's Best Accessories homepage, where we've featured everything from protective and durable phone cases to stylish smart watches and more.